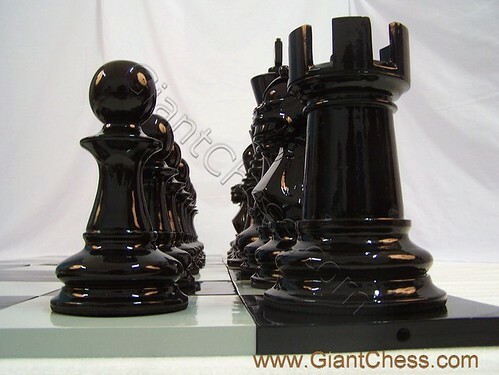 Black and glossy giant chess set looks so elegant and luxury. Made from best quality of Teak wood and very durable for outdoor also indoor game. Perfect also for decoration of your house, hotel decoration, school, and other public space. Usually used for chess festival and outdoor game. All ages like this chess for play together or having some outdoor games. You can also having a great chess game at your house garden or yard. It very interesting to play chess game outdoor with your friends, children and family member. Have a party or some event in your house? Watch the excitement and enthusiasm when you add this kind of wood chess set to your party or event. Get this chess pieces for your collection one.